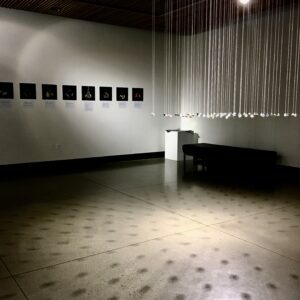 Dozens of tiny glass balls suspended from the ceiling at the MAC Gallery on the Wenatchee Valley College campus contain items from people who have experienced sexual violence. Each tiny ball is a reflection of one person’s story that Plain artist Sarah Jane, who experienced sexual violence, has carefully and lovingly curated. The show, Mere Objects, can be seen at the gallery through Dec. 15 and I highly recommend spending time there absorbing these images and stories. The Mere Objects exhibit also includes close-up photos of several of the glass balls, a paragraph or two from each individual, and Sarah Jane’s soulful response to that person. 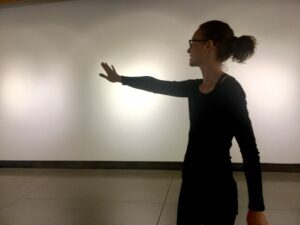 This participatory and interactive project, she said, stretched her as an artist and also was very difficult to complete because of the emotional memories that she carries of her own experience. 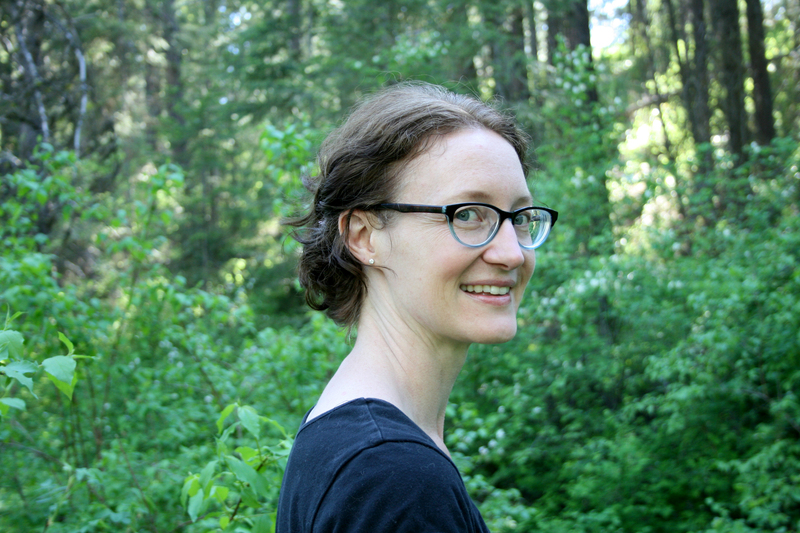 Sarah Jane is the art program coordinator at Grünewald Guild. Has a bachelor’s degree in art from Asbury University and a masters from the University of Kentucky. She taught art at Asbury University from 2008 to 2011. During a discussion at the Grove recital hall Friday night, she acknowledged that Mere Objects was a difficult project because of her personal experience with violence. Sexual assault, she told us, “is not a monolithic experience.” She received objects from people representing all walks of life and different genders. Every person’s experience is unique as is their reaction to what happened and how they have moved forward with their lives. The items people sent to her run the gamut, from the ashes of a photograph of the assailant, to messages, pieces of hair among other items. Sarah Jane took the items and the writing from each individual and created art objects within each tiny ball. I was particularly moved by the courage and resolve of participants who, in their writing, refused to allow what they experienced to define their lives. The balls are bathed in light and the effect is visually stunning and aesthetically pleasing. 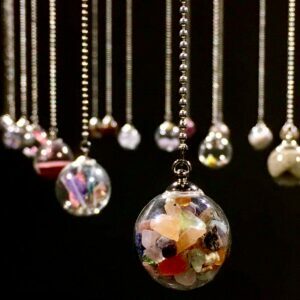 One gets a much more profound experience by taking in the items in the tiny glass balls and reading about the memories the participants shared. It gives you a clear sense of how deeply affected these human beings have been. Sexual violence has been, sadly, an accepted part of life in our society. The Mere Objects exhibit does a masterful job of bringing out the distress, courage and humanity of those who have experienced sexual violence. Not everyone identifies with being a “survivor” or “victim” of sexual violence, she told the audience. 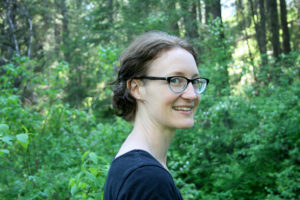 What Sarah Jane has accomplished is to create a global sense of community for those who have experienced sexual violence. I hope this exhibit starts a powerful conversation in our valley and throughout the state about this insidious part of our society and the human beings who are affected. This project shows the power and importance of art in our society. Mere words cannot hope to express the visual experience of the exhibit.